Mindvalley University City Campus: College. Campus. Curriculum. Reinvented. June 24 – July 20, 2019. Mindvalley University is 30 days of transformational learning that you’ll one day look back on and say: it changed my life. “What really blew my mind the most was the quality of the people I met. They were all loving, open minded and really into self-growth. People with a, humanity-plus mentality.” – Andra Trita, Mindvalley University Student. As a member of our Mindvalley Global Campus Member, we’ll invite you to a different city each year to be immersed into an ecosystem of workshops, talks, and seminars, plus amazing networking opportunities. You know the experts you see on global stages, writing best-selling books, or building extraordinary companies? These are the teachers we bring to Mindvalley University. Network and party with a diverse community of people just like you—entrepreneurs, parents, students, teachers, creatives…anyone and everyone. Connect and accelerate your business— maybe you’ll meet your future co-founder! Create deeper bonds with family and make lifelong friendships. Learn from world class teachers in business and personal development. Acquire real world life skills that truly lead to a happier life. Wake up and take what you are doing to the next level. Learn and growth through a different kind of immersive experience, where the city and culture play a major role. We have classes for adults, teens and children. Get access to the full agenda of workshops, talks, masterminds, and seminars. Better yourself, better your relationships with others, and become more connected to the world around you. Meet, network and party with a and diverse and amazing community of; Connect and accelerate your business; make lifelong friendships. come for a few days or a few weeks. The past 2 years, we have brought together some of the most brilliant minds who know how to inspire and transform. Mindvalley University City Campus offers a wide range of events over the month. 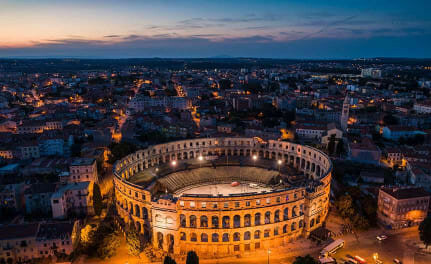 Check out the schedule we have for Pula, Croatia in 2019. In Mindvalley University there’s a feeling that you belong, that you´re accepted just as you are, without having to mould yourself to fit in. You know that fear of rejection that is ingrained in every human when we meet new people and expose ourselves? That fear disappears because you know everyone there wants the best for you and is there to help. It feels that safe! Not only the attendees but the Mindvalley University team will make you feel that they are there with you, in the same level, learning and growing with you. And this brings the best out of us so we have a chance to become the best version of ourselves. Mindvalley U is radically and successfully breaking the mold of what learning looks like. To invite 100’s of ‘students’ of all ages to another country and provide weeks of enriching content and experiences is bold, risky, and beyond ambitious – and they did it beautifully. I believe Mindvalley University will one day be looked upon as one of the most important social movements in the history of education. 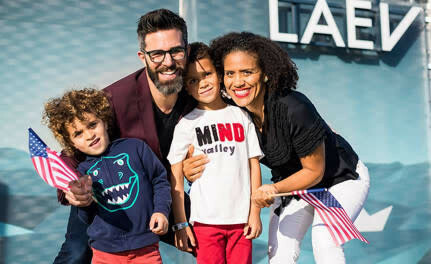 Tony recalls his favorite vacation so far, their most recent family trip to attend Mindvalley U, a yearly conference held in a different city around the world. This year, the month-long event took place in Tallinn, Estonia. During the event, they attended lectures on everything from entrepreneurship and emotional intelligence to classes on leadership and what it means to be a feminist. Tony and Tobie said they find this type of education priceless since they feel strongly about customizing their children’s education through homeschooling and want to broaden their minds and create a love for learning. 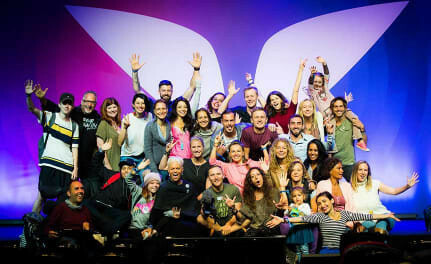 Attending Mindvalley U was a transformational event because of the incredible community and leadership. Being immersed for a month with this tribe was elevating and expanding. New deep connections, greater awareness, elevated spiritual connections, being more in tune with myself and being more aware of what I want in life are just some of the things I am taking forward with me after this incredible month. Thank you Mindvalley for bringing us all together. I am looking forward to next year! One month learning with four teenagers in the Baltics sounded a little like jumping into cold unknown waters. The experience was incredible for all, the instagram posts of the teenagers sum it up best. 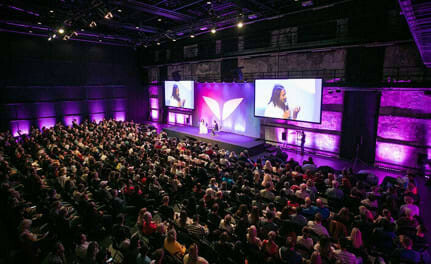 They were just as blown away as us, by the connections in the tribe, opportunities to grow, the social events, the amazing city of Tallinn, and the highly professional and caring way the entire event was organised by the Mindvalley Team. It feels extraordinary to be part of this disruption in education. Absolute highlight of our lives.